By 2020, spending on business travel is forecast to reach US$1.6 trillion worldwide1. With more high flyers expected to take to the skies than ever before, how can travel management companies help businesses deliver the frictionless travel experience they expect – while still controlling their costs? Corporate air travel used to be relatively straightforward. You got people to the right place, at the right time, at the lowest available cost. And you didn’t have too many options. There were fewer airlines, fewer flight times and fewer alluring ancillaries, such as in-flight Wi-Fi and extra legroom. Fast-forward to 2018 and the picture has changed. Travel choices have increased – and so have business travelers’ expectations. The result? It’s no longer all about just providing the lowest fare – but the ‘best’ fare. Today’s business travelers expect far more. They want easy, speedy check-in, gate-to-gate connectivity and instant updates about their itineraries. After all, that’s what they’re used to when travelling for leisure – so, why can’t their business provide the same? Often, it comes down to cost. Travel managers (TMs) and travel management companies (TMCs) are under continued pressure to meet crucial KPIs and keep their costs low. Traditionally, that means choosing no-frills travel itineraries. But, with today’s increasingly selective business travelers, is that really where the best business value is? And do business leaders want their employees making that critical pitch to a potential or existing customer after being squeezed into the middle seat of the back of the plane for 8 hours with little time to rest and adjust? 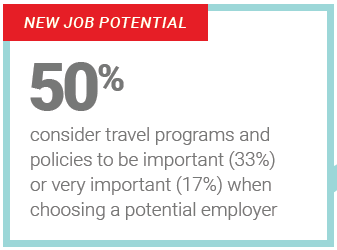 Recruitment and retention – Research reveals that 50% of millennials see a company’s travel program as an important factor in their choice of employer2. With that in mind, it must also be considered an important factor both in attracting and retaining staff. 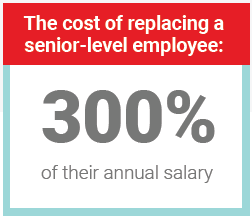 The cost of replacing a senior level employee can represent until 300% of their annual salary. Health and wellbeing – Comfortable, convenient travel is crucial to employees’ physical and mental wellbeing. For example, can you imagine an offshore engineer or surgeon having to perform their roles while jet-lagged? What’s more, putting travelers in control of their itineraries (e.g. by choosing personalized options, using an itinerary management app etc.) they can reduce travel-related anxieties and focus better on the job in hand. Safety – Employers also have a duty of care to ensure their travelers are as safe as can be reasonably ensured. Thus, they need to be able to track the location of employees and provide support in the event of a major incident. 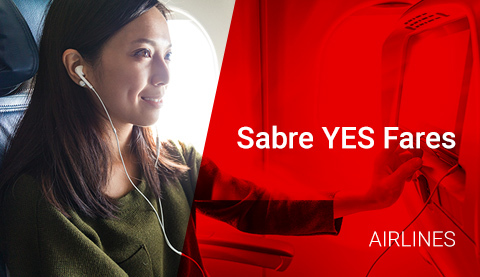 Job performance – Sabre’s report, Creating Frictionless Travel 3, revealed that over 80% of business travelers feel the quality of their travel experience influences their job satisfaction and performance. For more frequent travelers – the ‘Road Warriors’ – this increases to 91%. 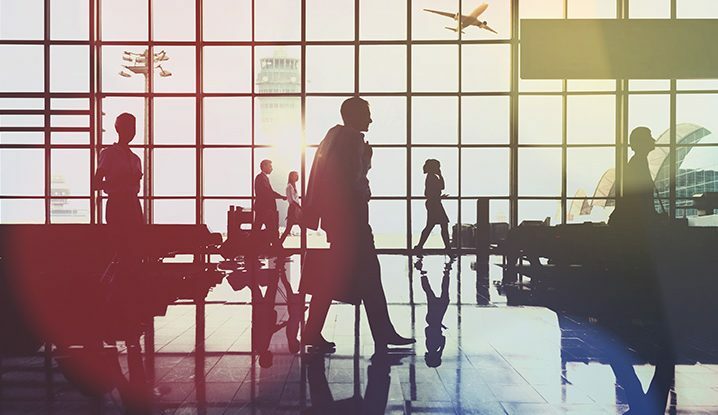 Cost optimization – A vast majority of business travelers will get fully or partially reimbursed by their company for extra amenities and services paid out of pocket. 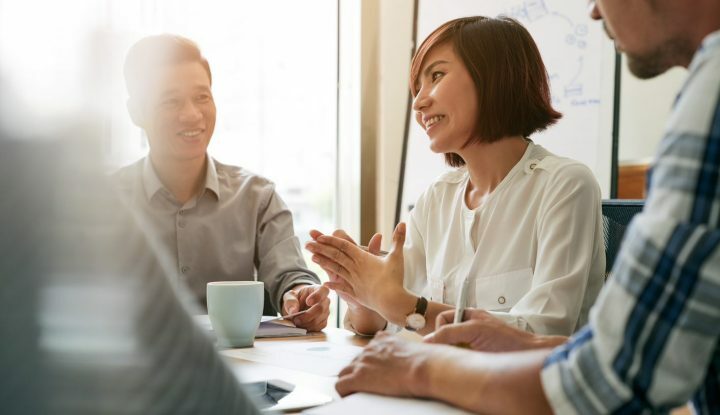 When analyzing those services and how much they actually cost the company, travel managers can identify opportunities on top of cost savings, and include these during negotiations with suppliers – which only 8% currently do, according to a past GBTA Foundation study. Addressing the challenges above will be mutually beneficial to the business and its employees. But for those TMs that don’t act? They risk employees amending/upgrading bookings themselves out of policy. The consequences of which go beyond just wasting employees’ time. For example, without full visibility of bookings, how can TMs keep track of travelers’ whereabouts and stay safety-compliant? How can they get accurate insight into which operators or itineraries deliver the best service? And, how can they build loyalty with these suppliers – and reap the associated rewards? Moving forward, TMCs must balance the needs of their customer – and the end traveler. They must not focus on providing the lowest fares alone but the best fares, the fares that will deliver the greatest value to travelers and their organization. This means understanding business travelers better, listening to their needs and even segmenting them to deliver a more personalized service. They need to look at how they can integrate suppliers’ services and extras into contracts. And, finally, they need to make sure their booking and service process is compatible with the speed, agility and efficiency that is required. 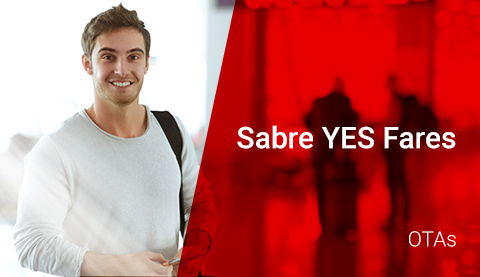 Sabre can help with this at every stage – from planning through to booking and travel. 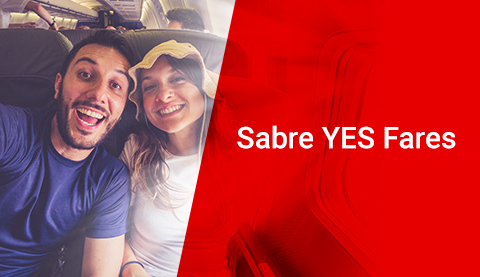 A recent study conducted by Dr Fried and Partner recently concluded that not only Sabre leads with the lowest fares, it also has the richest content. 75% of airlines fares included an ancillary or branded fare option, such as assigned seats, additional bags, or lounge access for long layovers. 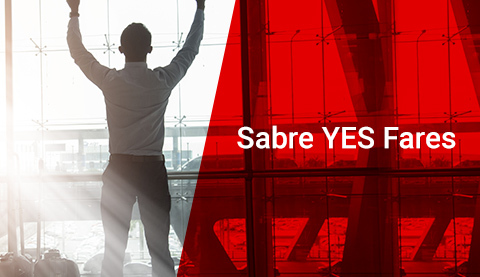 Take the Sabre® Red WorkspaceTM. It’s a one-stop-shop for all bookings, allowing you to find the fares you need, quickly – without cross-referencing multiple supplier sites. By analyzing historical data, it can also generate itineraries that include a passenger’s preferred route, extras or travel time, thus meeting the increasing demand for a personalized experience. 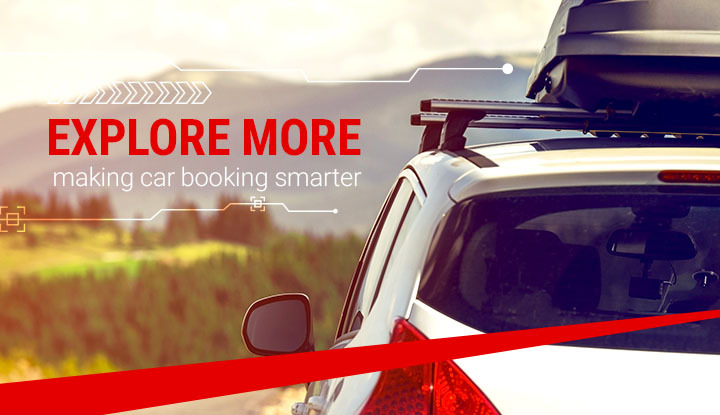 Then there’s GetThere – the leading online booking tool for travelers and TMs. It offers the same quick, seamless user experience we’re all used to in our personal lives. Handy features – such as storing individual passengers’ profiles and preferences – help to save time and improve the travel experience. Passengers can check in online, manage their itineraries and keep track of all their trips (which is handy when it comes to claiming expenses). TMs can track their passengers – and their journeys – at every stage. With resources such as these, TMs and TMCs can give corporate travelers the experience they expect – at a cost the business can afford. Just remember though: don’t give them the lowest fare, give them the best fare. 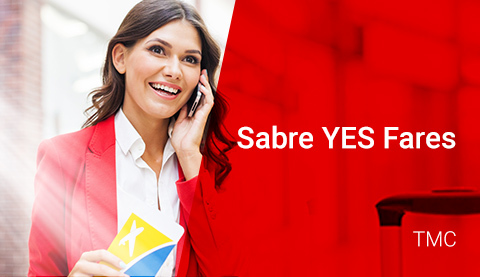 Carole Pailhé is a TMC Segment Marketing Manager at Sabre.